How proud are our school girls of their natural hair ? Well you guessed well because Tsokungwoman is introducing Tsokung lil’ Princess, yeah! Get your princess’ hair on point and lets celebrate their hair, because they love natural hair too. On this post meet Nono, Her Mum wrote this post to inspire Mothers out there who want to care for their daughters’ hair in its natural state. I keenly admire ethnic hair care and for the past few years I have been researching on African ethnic hair care and I got well equipped to look after my daughter Nono’s hair in its natural state. Most school girls want to look like their mothers, and keeping natural hair myself inspired my daughter even more. Nono started her natural hair journey mid 2014 after shaving the relaxed hair. She has 4C type hair which seems to be running in the family most probably from our grandfather’s side. Our grandfather had this beautiful afro which he always combed nicely to the back of his head, We called it “the push back” which was amazingly stretchy as we pull onto it. My family has a high sense of humour people ♥. Back in 2014,I Started wool-threading Nono ‘s TWA(short) afro for school ,as her hair journey began. That hairstyle is called “lemang ka ditselana” locally here in Botswana, meaning “plant in rows”, just to describe how the hairstyle looks like crops planted in rows. As a Mother I was highly dedicated and inspired and I also found the hairstyle very appropriate for school. As I mentioned above, that I did embark on a lot of research, I came across the Natural Hair In Botswana Facebook page which was recommended for me by Marea Malebang who adored my daughter’s hair and added me to the NHBots group, I learnt a lot from the ladies in the group, then managing my daughter’s hair was not only about her looking good to school but it also became my passion, I knew what to do and I discovered what works and what doesn’t work for Nono’s hair. Nono uses low sulfate formulation shampoos such as some from the Tresemme brand. 1.Nono’s Hot oil treatment: Warm extra virgin olive oil is applied to scalp and hair ends and covered in plastic cap for half an hour or more. Her hair ends are trimmed every 3 months to get rid of dead old hair, single and double stranded knots. This promotes hair health and growth. It is recommended that hair scissors should be sharp and not cut anything else, we would like to have clean cut and not damage the hair. Nono’s hair is normally stretched with braiding or the African threading method( Maphondo). The hair is sectioned across the head (side to side), and each section is rolled back and tucked in loosely with bobby pins. Let’s teach our girls from a young age that their ethnic hair is beautiful enough, amazing enough and they are gorgeous. They are the same as the Princesses they see on Disney channel. Let us not give our African hair unpleasant names, children hear these names and dislike their own ethnic hair. 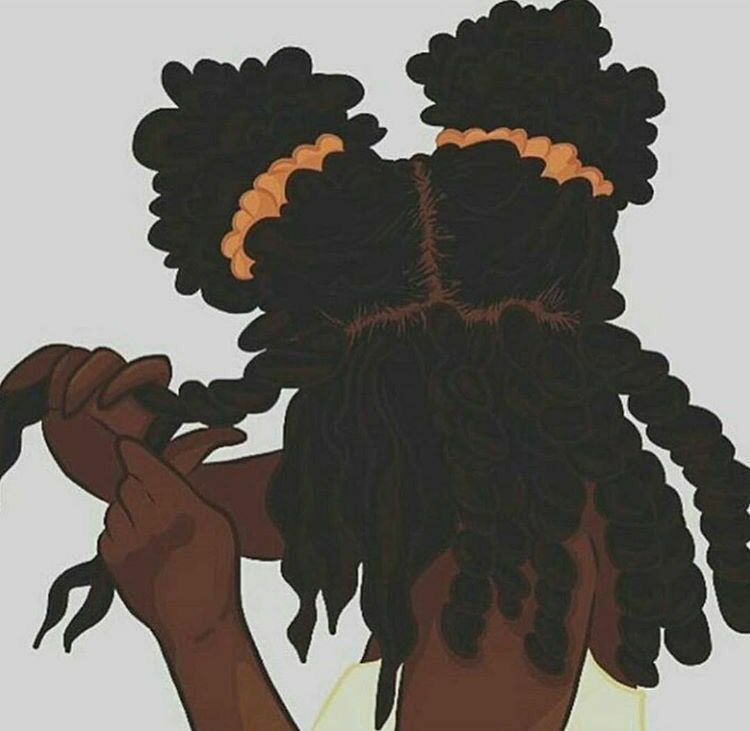 Let us teach them that this is God’s precious gift and He took time creating the coiled African hair, hence it is special. I am so proud of how much Nono loves her hair, she refuses to hide it under protective styles, She wears it out proudly to church.